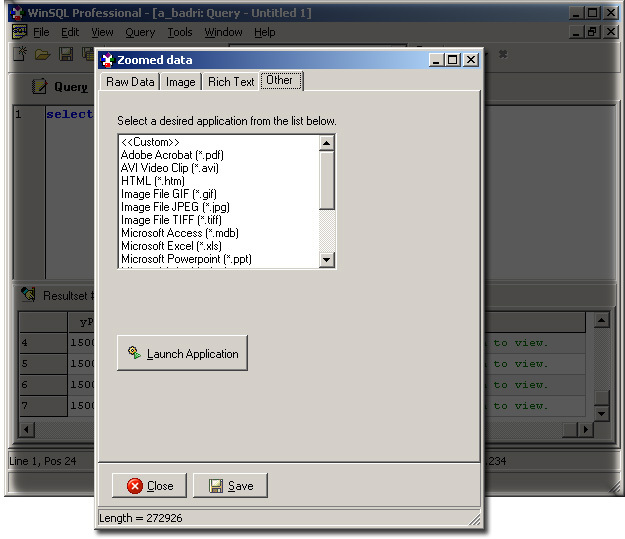 WinSQL version 6.0 introduces enhanced mechanism to read and write to large binary and text fields. 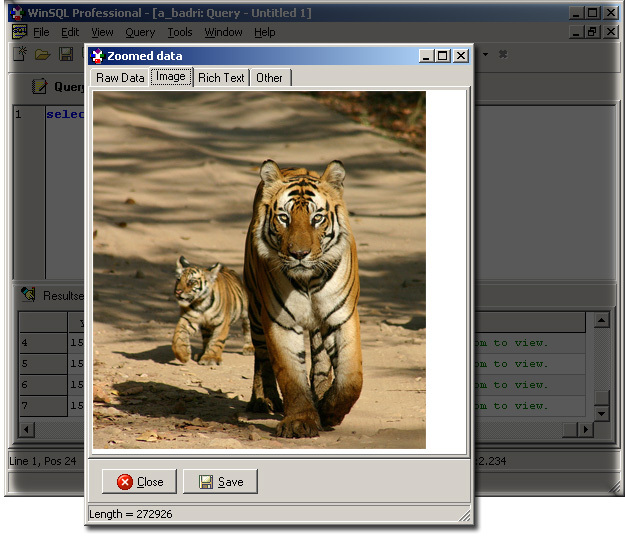 You can easily view stored images, and binary documents from WinSQL. 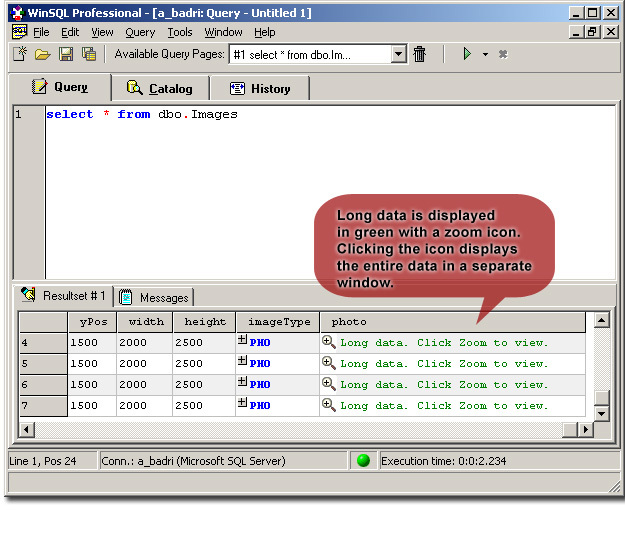 Long data is displayed in green with a zoom icon. User can click the icon to view the entire content. Aside from viewing large objects, WinSQL also provides mechanism to write large objects to a relational database. 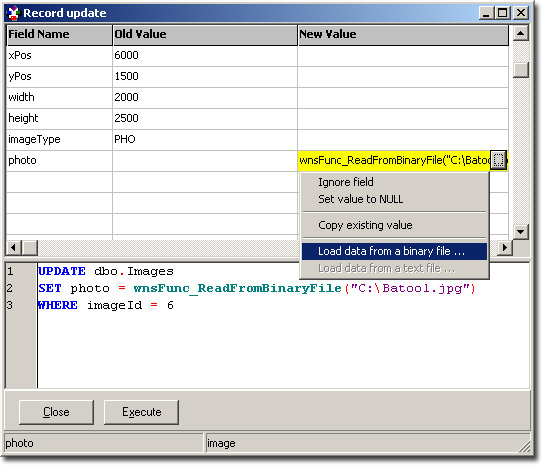 Users can write INSERT/UPDATE statements that read contents from a text or binary file, providing an ability to insert images, movies, audio, PDF documents and any other binary content to a database table.